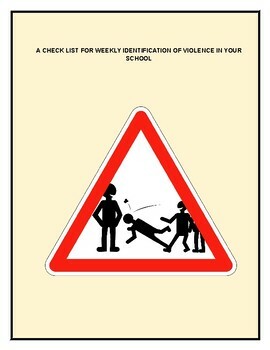 This tool is intended for the student to identify the violence in his school for a weekly identification. 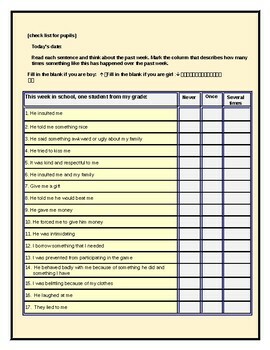 The tool contains 40 statements, and in terms of each statement, the student should decide between three answers: never, once, several times. The obtained results will help the teacher and the school administration to take measures to deal with violence in the school.